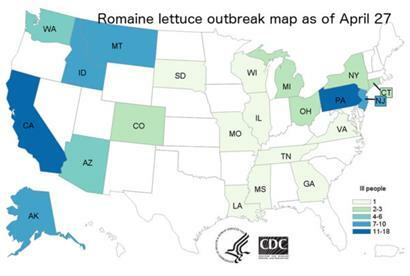 As the growers in the Yuma Valley, AZ plant their crops for the 2019 season, the FDA has issued recommendations based on the belated investigation of the extensive STEC outbreak attributed to Romaine lettuce earlier this year. Based on an assessment of the source of the STEC involved in an outbreak, the FDA have placed emphasis on preventing contamination of that irrigation water. The recommendations also include suggestions to process and pack ready-to-eat produce. It is self-evident that in the absence of an effective decontamination procedure, lettuce, spinach and other leafy vegetables that are harvested with E. coli or other pathogens present will represent a risk to consumers. Regulations introduced by the Leafy Growers Association to distance fields from Concentrated Animal Feeding Operations including dairy farms and feed lots will be beneficial. It is however necessary to constantly monitor irrigation and processing water for the presence of E. coli which may be present in sub-surface water as a result of percolation and runoff. 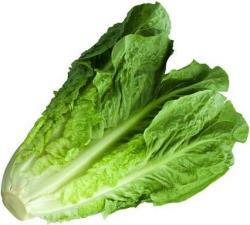 At the present time irradiation is the only absolutely effective measure to decontaminating leafy vegetables with bacteria causing foodborne disease. This would involve installing electron beam pasteurization, analogous to X-rays at packing plants or transfer of pallet-loads of packed product to a central facility using cobalt60 isotopic irradiation at dose rates subject to FDA approval. Ultimately consumers will have to decide whether they are willing to accept innocuous irradiation or endure with recurrent outbreaks of listeriosis, salmonellosis and colibacillosis.